Give us your idea and we’ll bring it to life. Or, give us a blank canvas and we’ll paint the picture for you. Whatever your project, you are guaranteed to benefit from our creativity and expertise. We collaborate with you every step of the way: from script development to the finer details of the shoot to give you the best possible result for your budget and requirements. 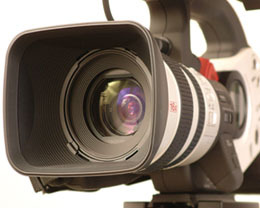 Our focus is on producing video of the highest standard so you’ll feel proud to attach your brand to our work. It’s all about making you look good, and you never know, you may even have fun.